I hope you’re up to a little soul striptease today. 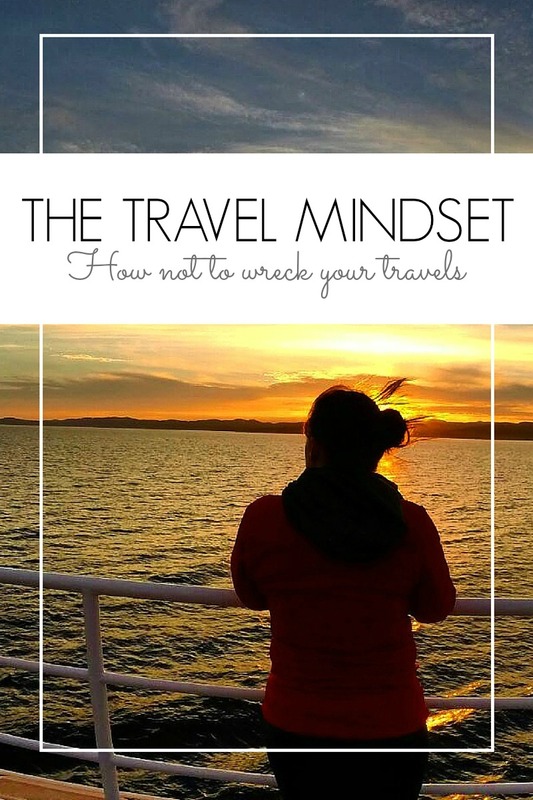 Let’s talk about how I almost wrecked my travels for myself and how I eventually aquired a healthy (for me) travel mindset. At this time one year ago I felt very lost. February till early June had been a horribly busy period at work and my last leave had been the previous September. Finally things had slowed down at work and I could breath again. Still my newfound freedom didn’t bring me content. Stefan had a pretty tough and demanding time at work, too. So I spent most evenings on my own. While I do appreciate that from time to time, being forced to be alone just made me feel very lonely. Of course I could have made plans with friends but I was just exhausted and couldn’t find me the energy. Neither did I want to bother anyone with my growing misery. To put it in a nutshell: I was overworked, unhappy and lonely. But there was something to keep me going. Luckily I had planned this wonderful and magical 4 week trip to Canada and the US. This would for sure solve all my problems. This trip had been the source of pretty much all my excitement and all my energy for a good few months and dreaming of foreign places and exciting adventures had made me limp though the last few weeks. And those weeks were long. Finally after what seemed like a forever I packed my suitcase and our adventure started. We flew to Paris and I was happy and I joked with the guy at border security. 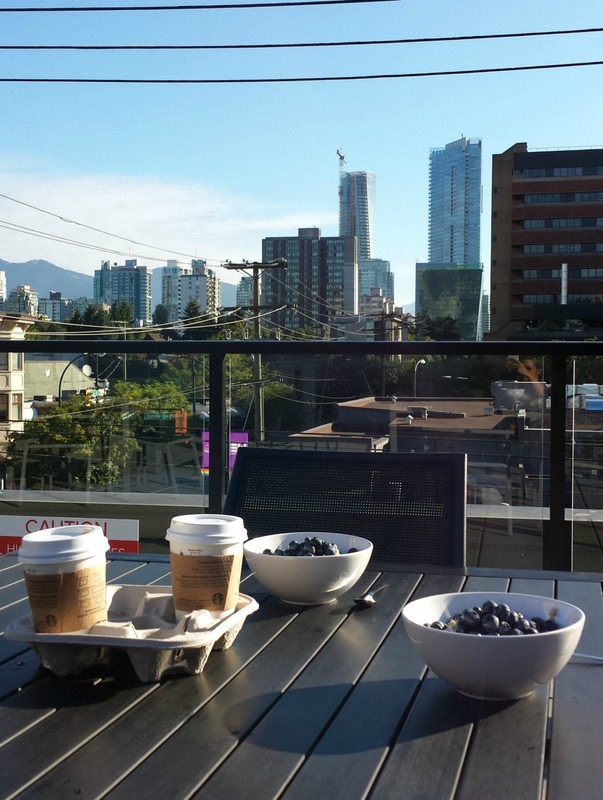 We flew to Vancouver and arrived at our Airbnb. I should have been over the moon happy but I was not. I thought I was just tired and went to bed early. I woke up and I felt even more miserable. It took me a bit to figure out that this was because nothing had changed. Subconsciously I had anticipated my world would change completely just by spending a few hours on an airplane and going to another continent. I had expected to be happy and carefree – I had expected to be wild and free. But boundaries exist in your head and I was still stuck in my same overanthinking, tired and cautious patterns. After a few days away being disappointed, one jetlag induced sleepless night I started googling. I pretty much instantly found an answer to my state of mind. I had expected travelling would make me happy but happiness is a side effect of doing things you enjoy. Nothing that just happens. Happiness must be created. Actually that was not new to me. This was just the first time I experienced it first hand with such force. The good thing about being an over-analyzer is though that evaluating my situation was easy. I simply put together a list of things I hated in my everyday life and desperately hoped to change through travelling. Being completely honest my triggers are always the same: feeling stuck in a rut, feeling trapped, feeling heteronomous… you get the point. Travelling is my prison break. What I love about travelling is the breath of fresh air, the exploring, the sense of adventure, the freedom. But also the precious slow moments with a hot cup of coffee in the sun with no pressure to do anything by any given time. Though without really noticing I had made this trip to a copy of my everyday life. Plans, plans, plans. Go go go! And that just didn’t work out. There’s no room for adventure when you have planned every single step on your path in advance. I still felt trapped, in a rut and heteronomous – BY MYSELF! I knew that I had to let go, loosen up a little and just let things happen. And probably that wasn’t even limited to travelling but also to life. But more on this another time. My boundaries exist in my head. And that is the place were I am the boss. So it’s up to me alone to push them away when they threaten to crush me. I am a type A planner and an introvert. I have issues with unforseeable situations. But I have managed to implement a new travel mindset. A set of guidelines I follow that I interpret sometimes more harshley, sometimes more loosely. A compromise between my type A planner self and my adventure craving dropout self. Two selves that are not easy to please at the same time. People and places can always add to your happiness but none of them should ever be made responsible for it. I find me little moments of happiness to enjoy. Like watching the sunrise alone with a hot cup of coffee. Or writing a dumb joke in my travel journal. It’s pure bliss to me. Only because everyone says you have to do/see X when you’re in Y doesn’t mean you will enjoy it. It’s your time. Spend it wisely. Everyone is going gaga about San Diego Zoo but I hate going to the zoo. Imprisioned animals make me feel sad. So I am definitely not going even though ‘I might be missing out’. Even though sight X has been on your list you can decide to drink a second cup of coffee in the sun and talk about all the things with your travel buddy instead. Also a morning watching the 5 millionth rerun of Friends instead of exploring the area is not wasted when it’s exactly what you want to do right in that moment. Whatever makes you happy! It’s okay to book accomodation, rent cars or book transition in advance if it makes you feel less anxious. But it’s not a good idea to cram 15 activities in a three day stay. It’s not enjoyable and it is just draining. No adventure will ever happen to those who play 1000% safe. Sometimes the most amazing view waits only 100 m from where the trail ends. 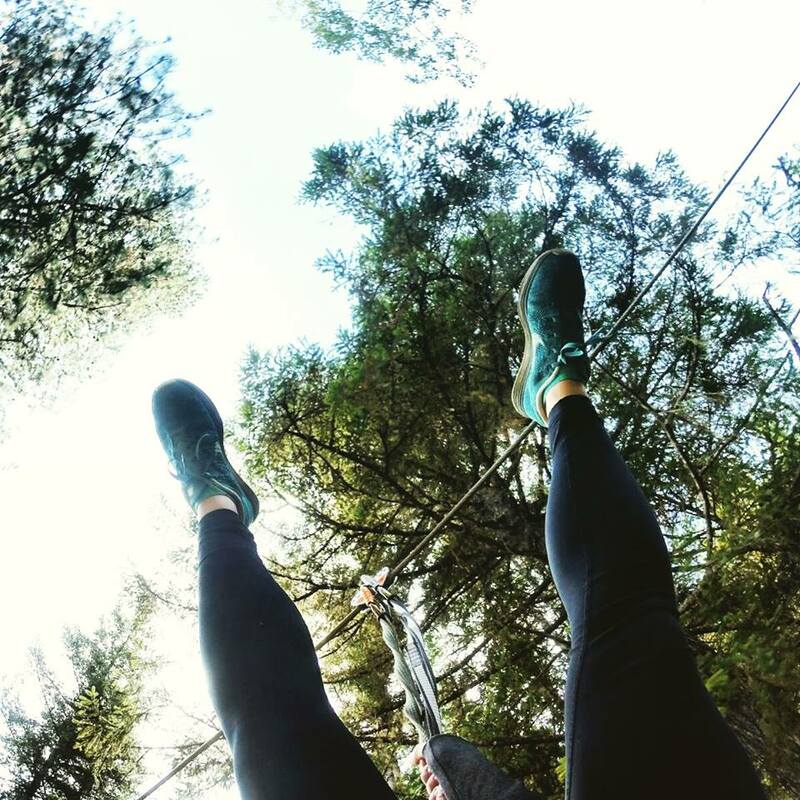 Sometimes ziplining upside down 45 meter above the ground makes you feel incredible even though you have to take a step off the safe platform. And sometimes you will end up eating a beef tongue taco by accident and feel nauseous everytime you think of it. It’s worth it. At least you’ll have a story to tell whan you come back. It’s a few weeks until I pack my bags (aka my hipster backpack that I named Edmund) and embark on this year’s adventure. So far I am incredibly relaxed about it and only have a very short list of things I want to do. For the rest we’ll play it by ear. I have never felt less desperate and more excited to go on vacation. 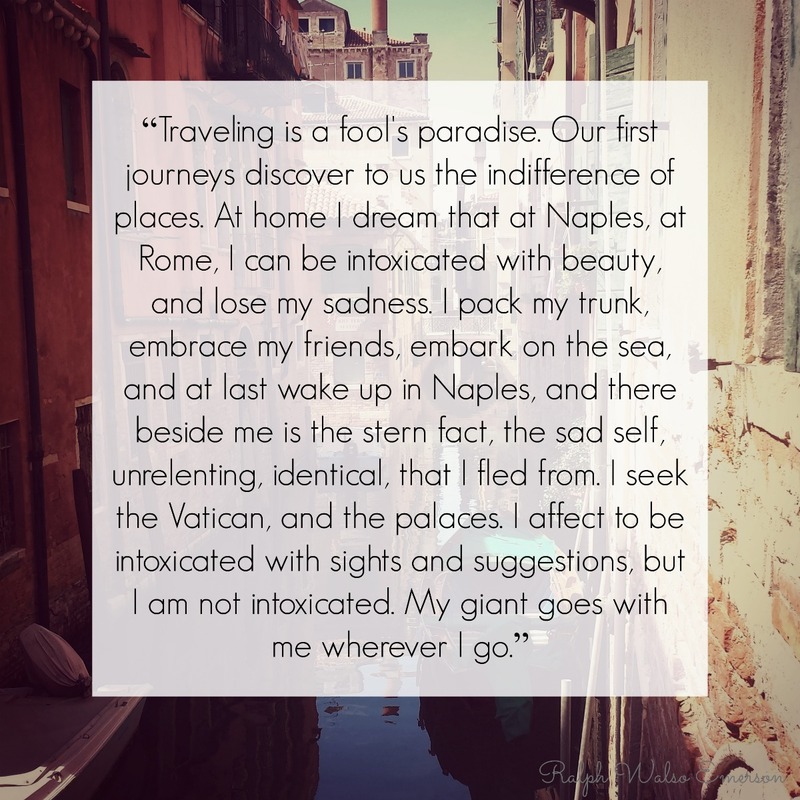 This is a travel mindset I can truly embrace. What is your travel mindset? Planning or playing by ear? Yes yes yes! You know I feel exactly the same way about this as you do. I spent too many holidays planning every last detail (ok a chunk of that was my ED state of mind too) and not being happy as I never relaxed, chilled out and it was all go go go, timelines etc. That sounds ideal! Really! I am looking forward to see how this first fully prepared but unplanned trip will be. I am still not brave enough to just fly somewhere and play it by ear once I arrive but maybe in the future. There’s a second part coming up and I think it’s touching on what you were talking when you mentioned those cracks. Maybe next week. 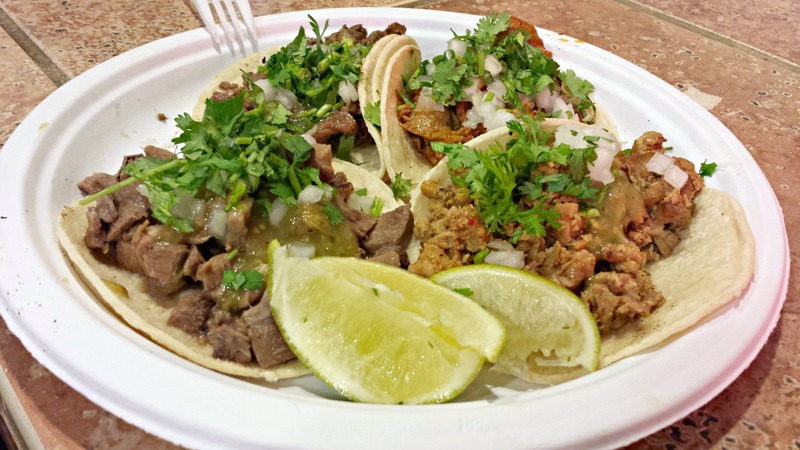 A beef tongue taco…oh man, I’d be freaked out by that. My Hubby would probably love it. I think your new travel mindset is just right. A little bit of this, that with some spontaneity thrown in for good measure. I also like to explore a city either through a bus or a walk and see what piques my interest.